Who invented the iPod? - Who Invented? / LIFESTYLE / Who invented the iPod? 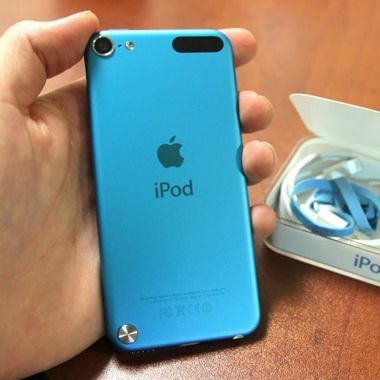 Apple Inc. – The ipod was invented by the American company Apple Inc in 2001. Whilst Apple Inc are firmly recognised as the inventors of the ipod the original concept of a digital storage and music player was drawn up by an Englishman Kane Kramer. When he was aged 23 he drew a rough design of a machine that could load music in 1979. Kane worked on his design with his friend James Campbell, they made the device and had it patented in England under the name of “IXI”. Due to a lack of funding, the worldwide patent could not be renewed and expired in 1988. The ipod that first hit the market in October 2001 was designed and manufactured by Apple. The ipod is a portable media player, enabled by it being a small pocket-sized computer. It was developed by a team of five Apple employees who were Jon Rubinstein (senior VP of h/w engineering), Jonathan Ive (senior VP of design), Tony Fadell and Michael Dhuey (both s/w engineers) and working under the leadership of Steve Jobs for a year. Apple took some of the s/w design from the company PortalPlayer, and some other third parties were contracted to deliver other vital aspects to operate the ipod so this was not an entirely in house product created by Apple. The name given to the ipod was suggested by Vinnie Chieco, a freelancer who got the word from the movie 2001: A Space Odyssey. The ipods used today have passed through many phases of design, style and technology. They have good sound quality and storage capacity which includes storage for photos or games or films in addition to music. However, no matter how many advances in technology, ipod sales have been on the decline since 2009 and naturally since the release of subsequent iphone generations which have the storage capacity to store music in addition to their many other features.